"I am so sorry to learn just today of Ed's passing from my..."
"So sorry for your loss,Ed was a nice man quite smart on..."
"Ed always described himself as "fit as a..."
AUGUSTA - Edward E. Leary of Palermo and Augusta passed away peacefully and surrounded by family on April 2, 2019, at his home in Augusta. He was born on Jan. 3, 1935, in North Attleboro, Mass., son of Eugene and Margaret (Craik) Leary. He married the love of his life, Janice Anderson on Dec. 28, 1957. Edward spent eight years in the naval reserves and several years in law enforcement in various capacities in state and local government, and then with the Maine Department of Transportation, retiring in 1988. He was particularly proud of his police work and spoke often of his experiences. Edward was a special man of high integrity. He was honest, straightforward, a true friend and companion, and a loyal husband who expected no less from his family, friends, and business contacts. Edward maintained collections of fishing equipment, bicycles, knives, coins, and was respected for his knowledge of the value and history of each item. He spent most of his earlier years fishing in his spare time. Edward especially enjoyed the Spencer Lake area near Jackman, and the Rockwood area on Moosehead Lake. He visited those places his whole life, even after he had made his final cast. Edward was predeceased by his infant son, Sean Edward; sister, Margaret "Peggy" in 1984; and his wife, Janice in 2014. 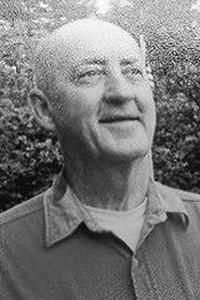 He is survived by three sons and their families, Shannon M. Leary and Rita Silvia of Oakland, Edward Sean Leary and Amy Giles of Portland, and Frank P. and Susan Leary of Palermo; as well as four grandchildren; and two great-grandchildren, Erin Faulhaber and her daughters Madilyn Kennedy and Amelia Faulhaber of Clayton, N.C. and Kevin Leary of Manchester, (daughter, grandchildren, and son of Shannon), and Paige and Kelby Leary of Palermo, daughters of Frank and Susan. A very sincere and heartfelt thank you to all of Edward's healthcare professionals, to his family at Arch Beta Apartments whom he cared for immensely. A graveside ceremony will be announced at a later date at the Smith Cemetery in Palermo, where Edward will join his wife and together they will rest.